Home News Prime Minister Imran Khan, Why contradictions in the words and verbs? 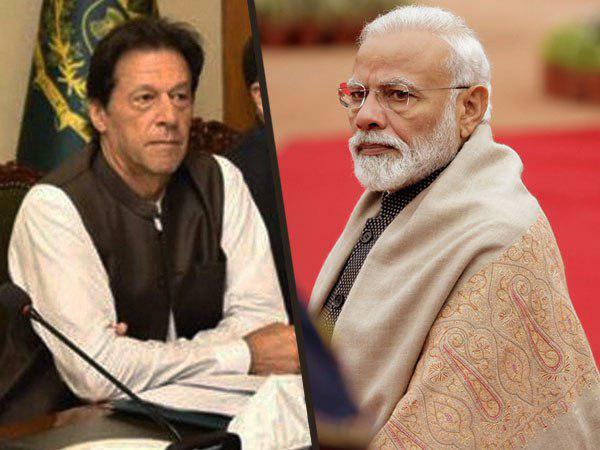 Prime Minister Imran Khan Can you hope that Modi would have friendly ties with Pakistan anyway? In India, playing Pakistan opposition cards, as the people are foolish, its practical demonstration can be seen in the current Indian election campaign. The situation is that the current Prime Minister Modi has nothing. Neither have they been given jobs to their unemployed youth, nor to raise the standard of public life that they claimed before the previous elections. The toilet issue is now being a joke. The number of people suffering from poverty is increasing every new day. Separate movements are also in force in different states of India. It is proven to be impairment. The economy of the country also did not make a surprise in Modi’s era. Diesel and petrol prices also turn towards the Modi era. The trend of increasing suicide in the farmers is the case of Modi government. The claim to be the world’s largest democracy proved to be false on every passing day. The promotion of Hindu is making Modi’s biggest contribution to the government, which led to the collapse of the claim to be India’s largest democracy. Modi’s rule has been tightening the situation in minorities. In particular, not only life has been narrowed on Muslims but also many Muslims were martyred in violent acts. After all these problems, what is left for Modi’s government, on the basis of which they should go to the polls and succeed. Pakistan hostility Yes, Pakistan’s embarrassment is an election slogan, which is not far away that Modi can win again. And it is not impossible to do so that apart from the government level, Modi has been promoted in the public in the public. They do not want to see Muslims (even in their own country), their emotions against Pakistan have come to an end that if the courage to give a statement in Pakistan, and its fortress is eliminated. In these cases Modi Balakot’s fierce surgical strike was planned on an election campaign that two planes were sinking. Now imagine that even after two missiles, they were not silent. Pakistan’s F-16 collapse was dispersed. Even though he is a liar, he is firmly on the claim (the claim globally is proving false). In addition to this, they are also planning a further confrontation. Shah Mehmood Qureshi has expressed concern. And also reviews that Modi as much as Pakistan speaks in her humility, her popularity graph increases. Now wait a moment here! And by keeping it just a moment, think that the country with these ideas, the proverb of those ideas, can Modi be better for Pakistan? Can you expect Modi to have friendly relations with Pakistan in any case? If realistic considering the circumstances and events, which is now being searched forprobably a person who will give him answers in favor of Modi on it. Some people who are thinking of a very very delightful and always positive way are even the ones who still do not want to see Modi as a friend of Pakistan. The Congress, on the other hand, is a secular party of India unlike the BJP. Whether Congress or the leader or their voters, they do not seem to prefer extremist emotions. Pakistan’s hostility card is also used by themso its intensity is not that which is based on the Hindu-based BJP. Whether the Babri Masjid is a witness or the Muslim riots in Gujarat, the BJP has not yet been able to hide its Hindu extremist trends till now and Ali al-Ashfan is in charge of it. After the Babri Masjid, the demands and qualities of Ram Temple are in front of you. On the contrary, the Congress has been taking promotional, liberalism, secularism (indeed, apparently, but has been). And even in the elections, religious extremism has been viewed as a weapon. Keep in mind all these situations. And now Prime Minister reviews the statement of Pakistan. Any reason why? Any positive attitude? Any constructive reference? Any Smile Statement? Any bright hope which we look at Modi? Who has caused this statement of Prime Minister? Ask the answer to your heart and mind. The heart that does not have a second degree in Muslim hatred, who is a specialist of playing Pakistan’s hostility, can be sincere to us. The brain adds but it does not seem to be a reason that it is increasingly cruelty with every new passing day in Kashmir, black laws hope to improve the enforcement process in the valley. But our prime minister is also very disturbed; maybe he has seen some kind of candle hope, those who are expecting positive thinking from Modi that perhaps Modi should be the reason for solving a long-term problem like Kashmir. Modi’s attitude has been against Pakistan, but in his policies regarding Kashmir, he has never been given any respect. If she is resolved to solve the problem of Kashmir, I am ready to agree to the controversial region. Despite this, expecting Modi to improve or whether BJP wants extremism like extremist parties to expect Kashmir to solve its sovereignty, it is beyond understanding. Even till yesterday, there was no tension on borders, despite the use of Modi’s visit to Lahore, Imran Khan Modi’s mate used to give his political opponent. And today, while India has dropped two war-planes in the border conflict, Pakistan is the main weapon of hostile election campaign, and our External Affairs Minister has estimated the extent to the advent of India, so how can such a situation be expected from Modi or BJP in such a situation that they will play a positive role in the solution of Kashmir issue? Whether the BJP’s attitude will change or not by the Prime Minister Imran Khan’s statement, it is not possible to expect hope at present. On the contrary, this statement can also bring worries to the heart of such circles in India who have been opposed to the radical behavior of the Modi government. The brightness of India, in some way, has emphasized the friendship rather than being defeated by Pakistan; they can definitely suffer from uncertainty of this statement. Apart from this, those who settled in Pakistan do not even differ on the statement of their captain but at least the reasons are to be known. If any foundation is expected that the BJP has been expected to improve the group of extremists, there is no reason for their knowledge. And such reasons should definitely come to an end that your opinion as an enemy was yesterday and despite the desperate and border stress today, while you are still strong, why did your action differ? The heart is praying that this statement of the captain should also change the attitude of the BJP. If the BJP problem becomes serious in resolving Kashmir, then everyone in Pakistan will appreciate this group.